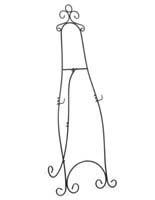 Looking for a stylish way to welcome guests and patrons? 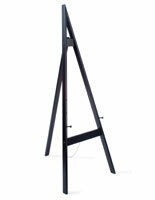 Wedding easel stands are excellent for presenting signs, menus, name cards, and other event signage. 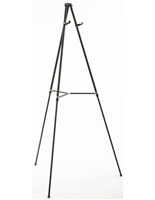 Place them outside at an outdoor gathering or inside reception areas. 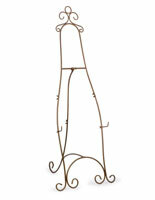 Display for all of your guests to see and make a great first impression! 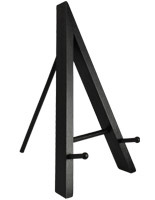 Our wedding easel stands feature a number of placement options to accommodate any environment. It is important that the details of your big day are done just right. 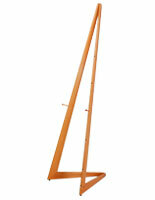 When picking out a wedding easel stand, you can choose between a classic or more modern style. 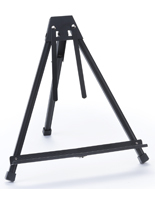 All of our stands are made with high quality materials engineered with sturdy construction. 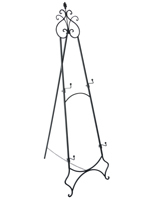 The majority of them are manufactured from durable steel or aluminum so they are built to last. 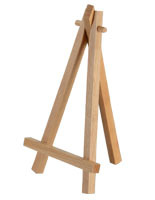 We also stock wooden models that add a rustic feel to the occasion. 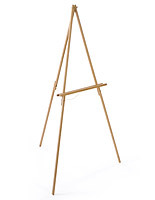 What wedding easel stands do we have to offer? 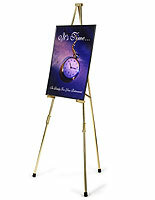 Countertop - Present name cards, reception table numbers, guest lists and more with these tabletop displays. 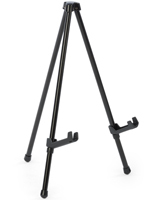 We offer wood and metal stands to choose from. 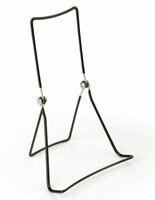 Most styles are available in clean black finishes to complement any signage that’s displayed on them. 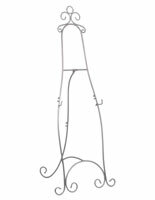 Metal Floor Standing - These are available in flashy polished brass as well as decorative wrought iron in black, chocolate, and silver finishes. 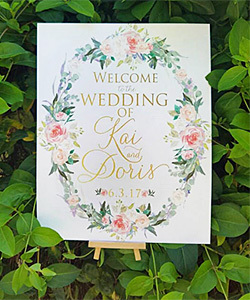 All stands are versatile and perfect for displaying signage to be at the center of attention on your special day. 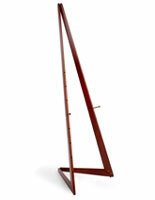 Wood Floor Standing - Hardwood easels promote a more contemporary look and feel with their simple, clean designs. We offer a variety of finishes to choose from: beech wood, cherry, black, white, honey wheat, and natural oak. 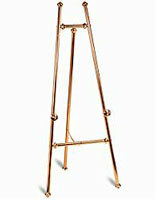 The warmth of the stained finishes will complement any beautiful piece of work to be displayed. 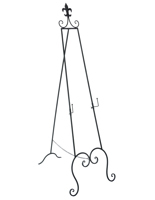 No matter what style your ceremony theme is, we offer a variety of stands to enhance the overall presentation. 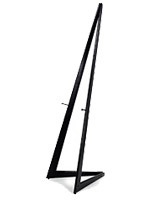 Most easels come with two height adjustable hooks for displaying a variety of different size frames. 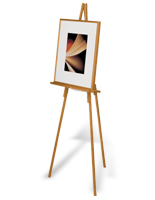 We know that frames and canvases come in all sorts of sizes, so therefore the support system needs to accommodate that. 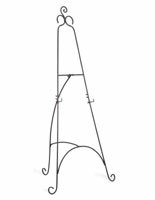 In addition to the small selection of tabletop styles offered on this page, we stock many more wood and metal countertop stands for books, frames, and small canvases. 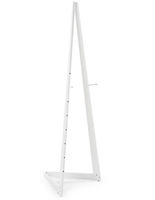 Make your special event one to remember with our professional display stands!